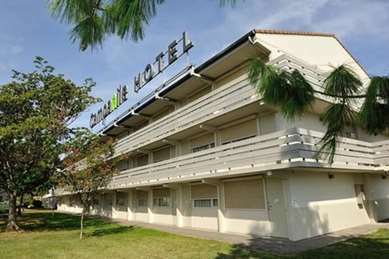 Near the Sesquières Lake, in a green zone just a few minutes from the center of the "Pink City", this hotel is an ideal starting point for you to go out and explore the historic center of Toulouse, go to Ernest Wallon Stadium or the André Brouat Sports Palace or the Pierre Baudis Convention Center. 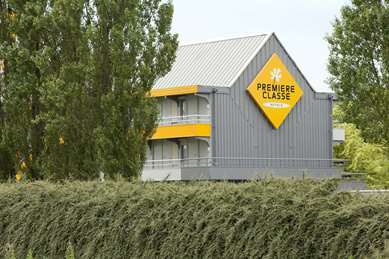 Whether you are here for business or pleasure, you will find everything you need at Hotel Première Classe Toulouse Nord - Sesquières, including recently renovated rooms guaranteeing you the greatest comfort and convenience: air conditioning, bathroom, toilets, flat-screen TV and free unlimited Wi-Fi. And all this for a modest price, whether you are alone of with company. If you are here for work, you will easily get to the Airbus Industrie sites and the Cité de l’Espace, as well as to the Toulouse Blagnac International Airport. But you can also take advantage of the proximity of the highway and beltway to go out and explore the beautiful region of Toulouse. All rooms are air-conditioned and equipped with private shower and toilets. You will also benefit from free Wi-Fi access, a flat-screen TV, a place to hang clothes (with hangers), a table and chair. All you need to work, relax or rest. Our hotel offers 74 rooms that can accommodate 1, 2 or 3 guests for the same price. Rooms have a choice of one double bed with an overhead bunk for a third person, or two single beds and an overhead bunk. 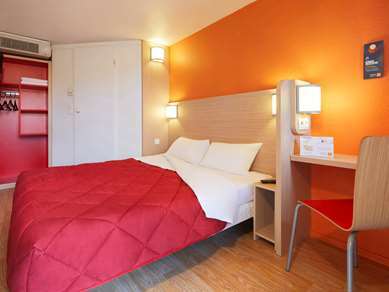 Hotel Première Classe Toulouse Nord Sesquières offers three wheelchair accessible rooms. Fill up on energy for just €4.90 with our all-you-can-eat breakfast buffet (composed of dairy products, a variety of drinks and name brand products that will delight young and old) at Première Classe Toulouse Nord - Sesquières. Children ages 10 and under receive a 50% discount (offer valid for paying hotel guests, up to 2 children per adult). Pigeon Hole is bigger than the room! Room and bath room is too tiny. One can stay if budget conscious and have to be near Blagnac airport to catch an early morning flight. Otherwise nothing is interesting in the hotel and it takes 10 to 12 minutes walk from the hotel to the departure terminal. Positive : Air conditioned room, Comfortable, Good value, Park & Lake nearby, Bar & Restaurant on site - another Bar & Restaurant nearby. Not so good : Room a little "Cell" like, serly lady on during the day (helpful though) Travel from airport (Shuttle, Metro then a Bus). It gets a 1 because we did sleep apart from noisy neighbours smoking weed, so couldn’t open window and no aircon. 1 plug socket about 4ft up so can’t charge anything but our creative display unit helped! Don’t put anyone over 5ft in bunk, they’ll give themselves concussion! Shower was a hose but all prefab plastic rooms, not a hotel really, more caravan shell bolted together. 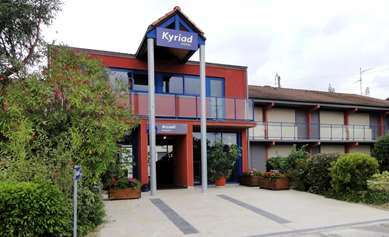 Think young offenders accommodation and you’ll be on right track. It makes Uk budget hotels look like 5 ⭐️ Advise; pay extra and stay somewhere nicer if more than 1 night. The hotel room was unclean, there were hairs everywhere, on the bunk bead, on the floor, in the bathroom.. Made me wonder what else had not been cleaned. Not only that the cleaner opened the door at 9.30am without even knocking on the door. It was hard to find but then our satnav did get lost. It was a good price but that was about all that was good about it. Nous vous remercions de nous avoir fait part de vos commentaires qui sont pour nous source d'amélioration. Nous sommes désolés pour l'inconfort causé par cette situation et ces manquements concernant le nettoyage de la chambre. Je vais alerter et accompagner mes équipes afin d'améliorer leur travail. Nous comprenons que cela ait nuit à votre séjour et espérons toutefois vous retrouver lors d'un prochain séjour. Bien cordialement. 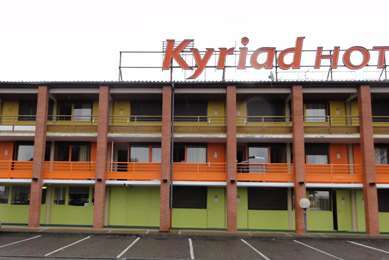 This hotel is just off the ring road near a fairly complicated junction but not too difficult to get to on the way round Toulouse. However it is a bit far out of the city which makes it rather awkward for any sightseeing. 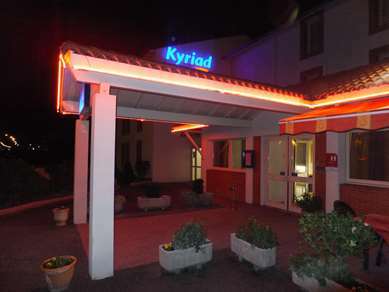 The staff were welcoming and helpful and the hotel itself was acceptable for a nights stay. 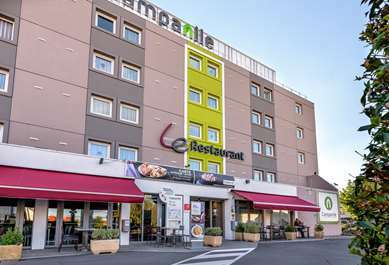 There is a Campanile restaurant in the same compound which offers a 15% discount to Premiere Classe guests. 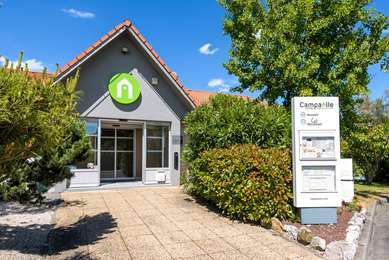 Cher client, Nous vous remercions de nous faire partager votre vision de notre hôtel et étant dans une démarche d'amélioration constante, les avis de nos clients sont les bienvenus. Je vous remercie de vos compliments et vais partager avec mon équipe. Dans l'attente de vous accueillir lors d'un prochain séjour, bien cordialement.